Life has been bit busy at the moment because my close friend is getting married SATURDAY!! So let’s have Quickie…. Kat Von D Everlasting Liquid Lipstick is getting more shades to extend her already AWESOME lippy. 16 new Liquid Lipsticks on July 16. Hourglass Hourglass Holiday Palette that has just been revealed. Australian do not fear the Limited Edition Palette will be released at Mecca , & online on the 10th November and will be retailing for $132. Too faced released there 2015 fall collection online recently! There is an eyeshadow palette which features 3 combinations of 5 eyeshadows with a sweet heart pattern. They also released the new born this way foundation and new BLUSH. L’Oreal Paris introduce their Infallible Matte Foundation and matching Primer. There are already rave reviews for this one! 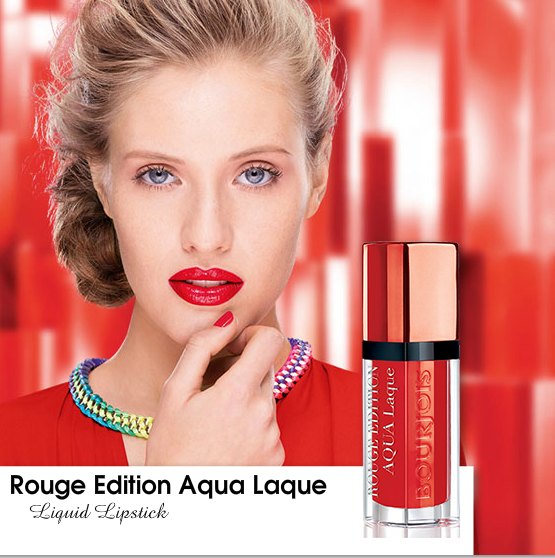 Bourjois have extended their Rouge Edition line to include the Aqua Laques.